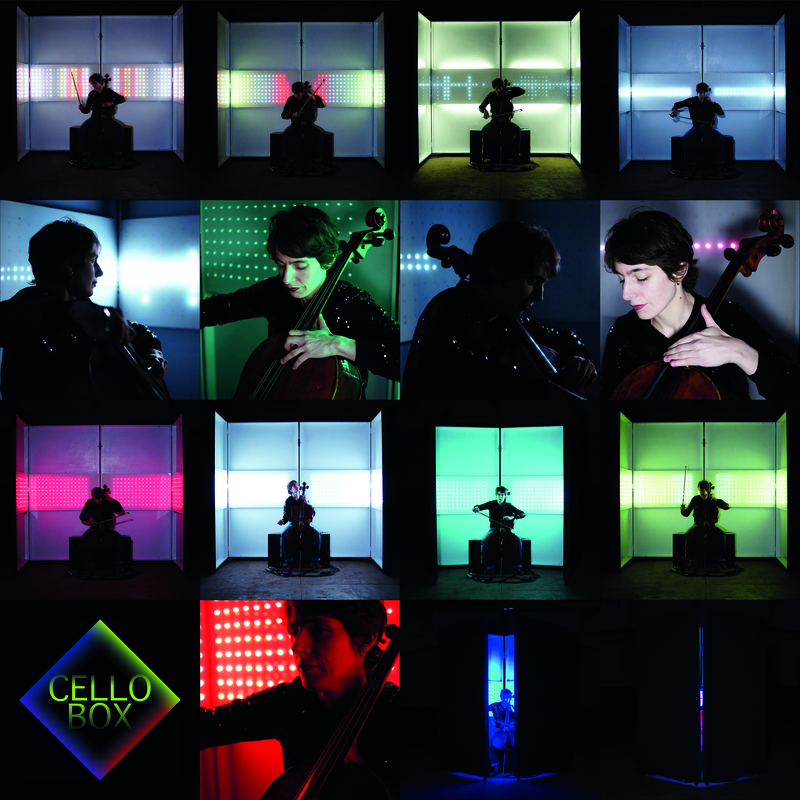 Cello Box – an intriguing and poetic micro theatre with programmable led light, and walls that open and close like wings. Especially for katharina gross and the cello songbook, scenographer and media artist Marion Traenkle created the Cello Box, in which the songs from the Cello Songbook are performed. Inside this magical box, the music is joined by led light, custom-made for each of the songs. Marion Traenkle’s programming turns light into a lively counterpart of the music. The Cello Box was previewed in the Cross-Linx festival in the spring of 2013, and premiered at the Uitmarkt Amsterdam in August. Since then, the Cello Box is fully alive and on the road. The Cello Box feels at home in theatres, concert halls, foyers, corridors, attics and basements… it is compact and very movable. Fed by one power plug, it contains all the required amplification, light, hard- and software. And it provides room for Katharina! Performances have been done with Scapino Rotterdam/choreographer Ederson Rodrigues Xavier, appearances at Landgoedconcerten Oranjewoud & much more.